It’s starting. The most wonderful time of the year. No, not Christmas. Pumpkin season. I even mixed pumpkin puree into my oatmeal yesterday. Yes, I stockpiled about 6 cans from last year just in case it was tough to find in stores this autumn (like you don’t remember the great pumpkin drought of 2009? Nightmare). But it really is the most wonderful time of the year because, while it’s pumpkin season, my basil plant is still flourishing, summery fruits and veggies are still available, and it really is the best of both seasons. I’m slightly confused, but mainly happy. I first made soft pretzels back when Chels and I had our Orville Redenbacher Oscar’s party. I didn’t blog them because, well, I was trying to throw a party and am not good at photographing each step of a recipe when I’m also trying to do 8392 other things. Basically I’m the worst party thrower ever. 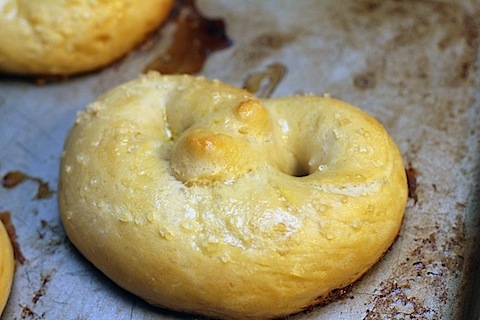 I’ve been wanting to make soft pretzels again ever since, but this time with a twist. Beer pretzels are better than regular old pretzels. 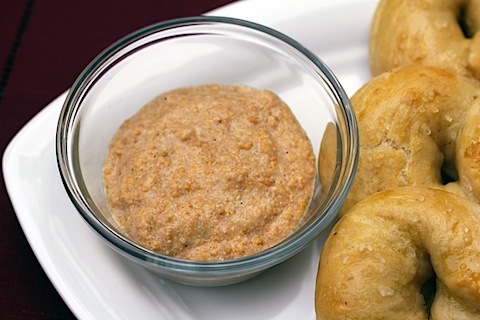 And if you’re going to make beer pretzels, you may as well make pumpkin beer pretzels! See my logic there? This is how my brain works from September-November. I also made two dipping sauces because I couldn’t decide if I wanted mustard with my pretzels or a sweet dipping sauce. 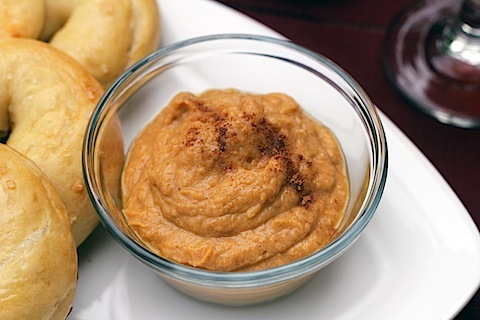 Instead of deciding, I made a pumpkin beer mustard and a sweet pumpkin dip and alternated bites. ‘Tis the season. Embrace it with all your heart. Ready, set, go! I chose to use Southern Tier’s Pumking because it’s one of my all-time favorite pumpkin ales. 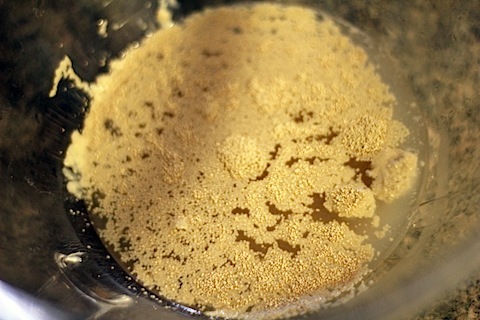 In a large bowl, sprinkle yeast over your 1/2 cup of warm water. Let rest for about 5 minutes. Then stir in sugar, salt, and olive oil. Pour in the beer. 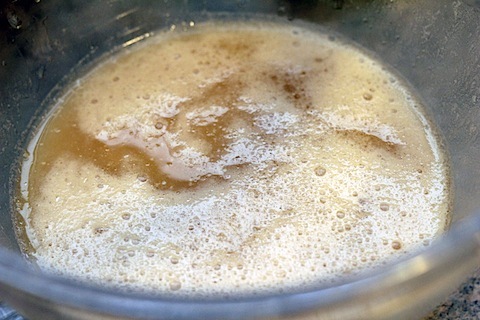 It will get all kinds of frothy as it reacts with the yeast already in the bowl. It was kind of fun to watch, but then, I’m easily entertained. With a wooden spoon, stir the flour in one cup at a time. 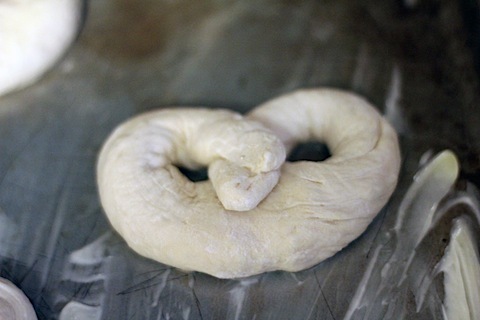 You don’t want your dough to be too sticky, but you don’t want it to be too dry either. 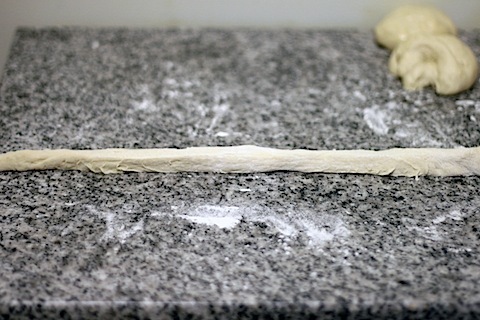 I started by adding 3 cups of flour (you can always add more in as you knead it. Or need it. Hehe). 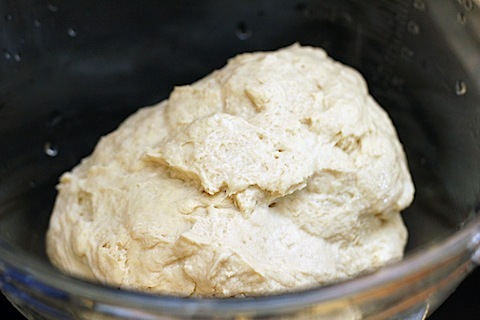 Now, knead the dough on a lightly floured surface for about 8 minutes. 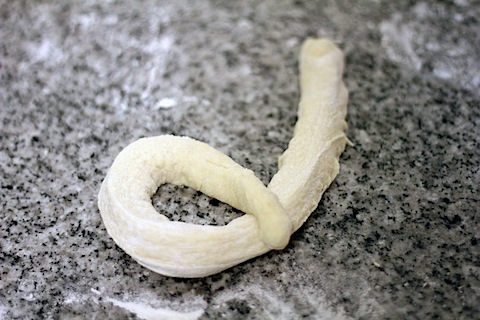 Or you can throw it in your mixer with the dough hook for about 3 minutes and save your muscles that work. 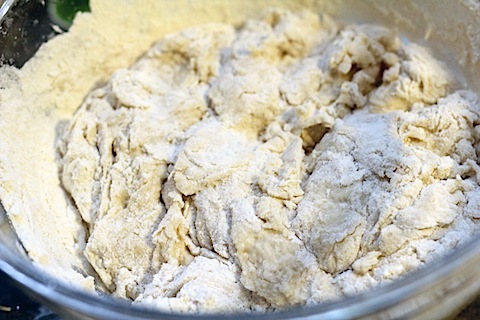 As I kneaded my dough in the mixer, it started getting sticky, so I ended up adding another 3/4 C flour in. 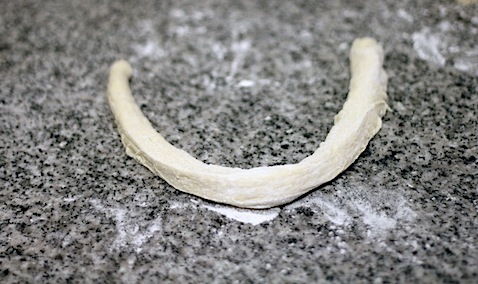 Once you’re done kneading, place your dough into a lightly oiled bowl. Place bowl in a warm spot, cover with a kitchen towel, and let sit for about an hour to rise. 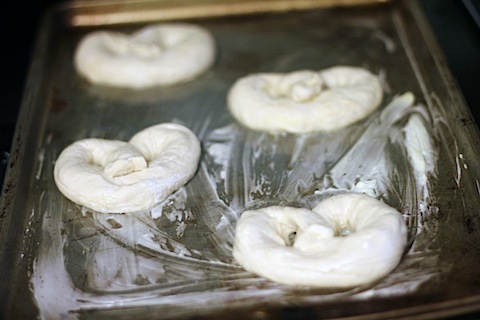 Punch the dough down and you’re ready to form the pretzels! 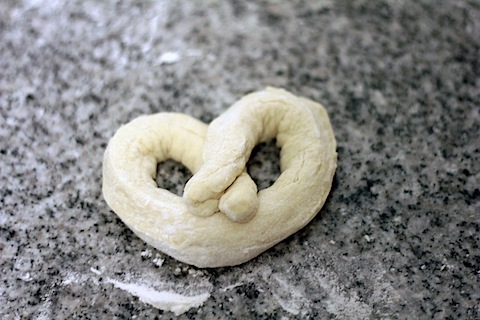 Start by dividing the dough into 12 balls, so you can make sure your pretzels will all be relatively the same size. And crossing one end down. Followed by the other end. Now, mix your remaining 2 C warm water with 1 t baking soda in a baking pan or other shallow dish. Dip the formed pretzels in. And then place on a greased baking sheet. 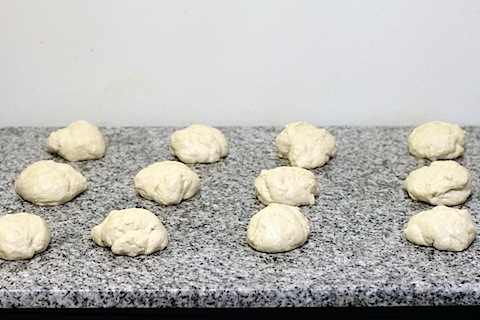 Continue with the remaining dough balls. Cover with a kitchen towel again and let rise for another 20 minutes. 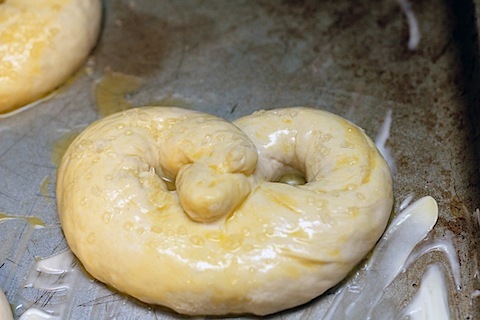 Now brush each pretzel lightly with beaten egg. Sprinkle with coarse salt. Pop in the oven at 425 degrees for about 15 minutes. Right when they come out of the oven, brush them with a little melted butter and let cool. Now for the dipping sauces, which you can make ahead of time if you choose. In fact, you should make the mustard ahead of time because it needs to sit for a bit. 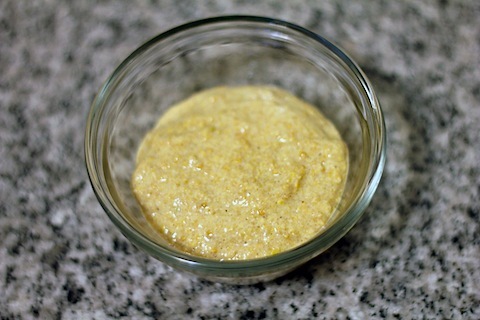 While I was doing my mustard research (right before I started baking the pretzels), I realized that the mixture was supposed to sit for a day or two before processing. Um, oops. I decided to just make my own mixture on my own terms. 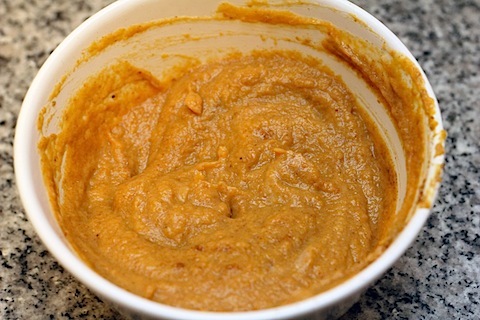 The pumpkin beer mustard I made ended up coming out wonderfully. It was super strong (likely because the flavors didn’t have time to mellow), but what’s the point of mustard if it’s not strong? I loved it! 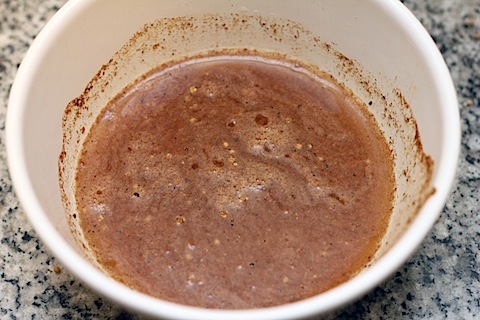 In a medium bowl, mix together mustard seed, pumpkin beer, and apple cider vinegar. Put in fridge for about 2 hours (or up to 2 days) to marinate. 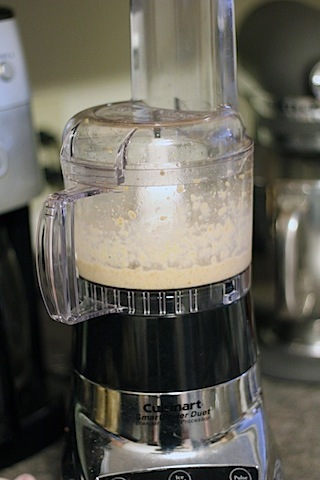 Transfer the mixture to a food processor and process until the mustard seeds are ground and the mixture thickens. Whoa! I couldn’t believe it went from looking like a brown liquid to a thick yellow mustard, all from a little processing. Pop it back in the fridge until you’re ready to use it. If you let it sit for a day or two, the flavors will begin to mellow. I had briefly considered adding a cinnamon sugar mixture to my pretzels, but wasn’t certain I wanted them to be sweet over savory, so I refrained. 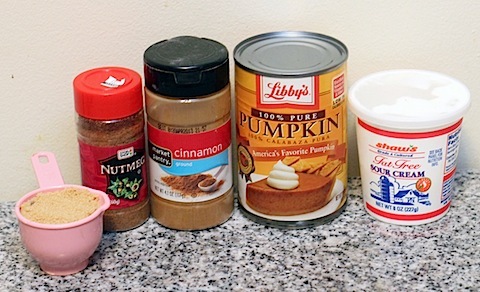 Instead, I decided to make a sweet pumpkin dip. This is basically the easiest dip in the world. I used fat free sour cream in mine, but definitely would have used plain Greek yogurt if I had any on hand. I told you this one was easy. Just mix all the ingredients together and put in the fridge until you’re ready to eat. Your pretzels are ready. Your two dips are ready. And you’re ready to dig in. With the extra beer on the side, obviously. Not my fault the Southern Tier bottles are so big! You obviously don’t have to make both dips, but if you’re horribly indecisive like me, you might want to. I literally tore off a piece or pretzel and dipped it in the mustard. And tore off another piece and dipped it in the sweet pumpkin dip. And could not have been happier. But then, I really enjoy weird food combinations. The pretzels themselves are actually pretty fabulous without the dips. The pumpkin beer taste was not overwhelming at all and was more of just an essence. The pretzels were soft, chewy, salty, and everything a soft pretzel is meant to be. You could certainly make these pretzels even more pumpkin-y (yes, it’s a word) by adding cinnamon, sugar, and nutmeg to the mix, if you want to go for a sweeter pretzel. You could even mix in pumpkin puree. There’s something about pumpkin and pretzels that just works. And beer. Always beer. 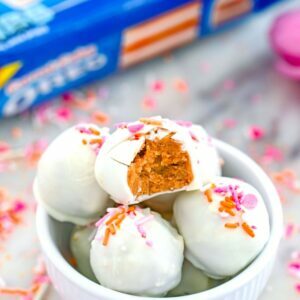 With football season starting, these would be the perfect game time snack. I’m not a huge football lover, but when there’s good food involved, I’m always in, so I’m planning to develop some more fabulous game time snacks this season. OK, time for me to go have my pumpkin oatmeal breakfast. I told you, when I go in, I go all in. Has pumpkin season started for you or are you waiting until the official start of fall? 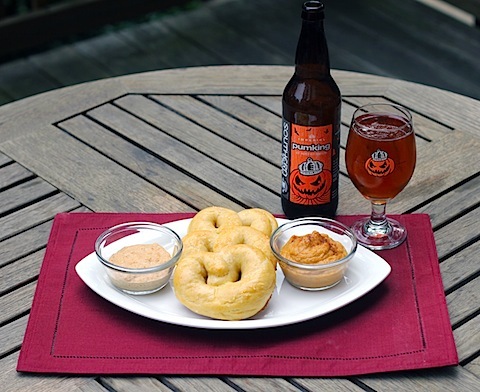 42 Responses to "Pumpkin Beer Pretzels (With 2 Dipping Sauces)"
As if homemade pretzels could even GET better. This is ingenious! Love the dips! oh man… these may be the best beer pretzels i’ve ever seen. Hearttttt pumpkin! These look freaking amazing. I want to try the mustard alone! Yum! Those pretzels look so perfect on a cold and dreary day like today. Yum! These are perfect for fall! oh these sound so fun! I am throwing a beer tasting birthday party next weekend, so I may make these! gorgeous! 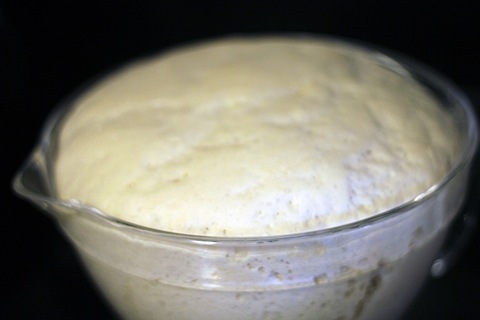 i just bought a bunch of yeast- because now that its not hot as balls i will be baking to stay warm! 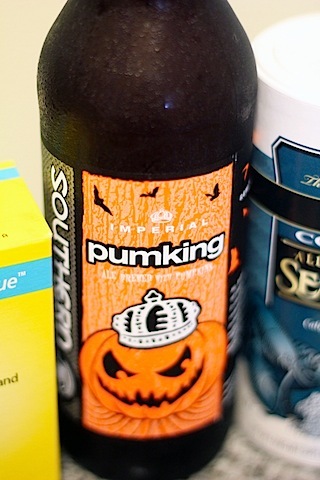 I have tried that pumpkin ale- it was totally skunk from where i bought it- wanna try it again ! The king of pumpkin beer and pretzels! So awesome. Southern Tier should throw this up on their site. 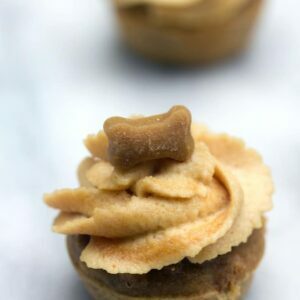 I cannot wait to make these – perfect intro to fall! My new favorite liquor store has an ENTIRE section devoted to pumpkin beers. LOVE! Woah, I’ve added pumpkin to just about everything over the years…except pretzels. Definitely trying this out this weekend, thanks! Sometimes I look at your photos + think ‘there’s no way she made those… they’re way too perfect’. Pumking is my favorite pumpkin beer! So good!! Great Choice! Now I’ll have to try these. A few things: 1. Pumpkin season really IS the most wonderful time of the year! 2. I remember the pumpkin drought very well, as I was not a happy camper. In fact, as the hubs can attest, I was downright pissed off for a while. 3. Southern Tier Pumking is my FAVORITE beer ever! 4. 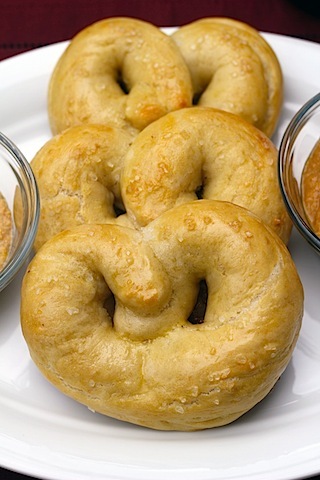 These pretzels look ah-mazing :). Well done! My heart is open and ready for all things pumpkin! Your pretzels are so puffy and perfect! I love the idea of making it into a sweet version. I’ve never made pretzels, but these look great! Pumpkin season is in full swing for me. I’ve bought my pumpkin spice coffee from Fresh Market and had my first pumpkin spice latte of the season today. I’m definitely adding these pretzels to the rotation! I absolutely love these! Ever since the pumpkin shortage I stock up on pumpkin whenever I get the chance. that mustard sounds so delicious! I so love the sound of these. I love that you carried the flavors of pumpkin throughout. Nice job! Whaaaaaaaaaaat. This is amazing because it combines all of my favorite things. 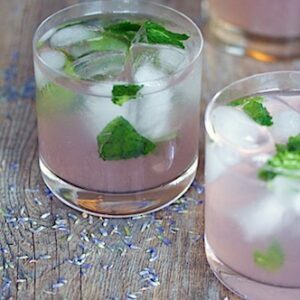 Now, if there was bacon in there somewhere, this would be perfect! kudos for the thickness of these pretzels- bet they are so soft with the right amount of chewy texture. so sad im so far away to steal one… and some of the delicious dips too! 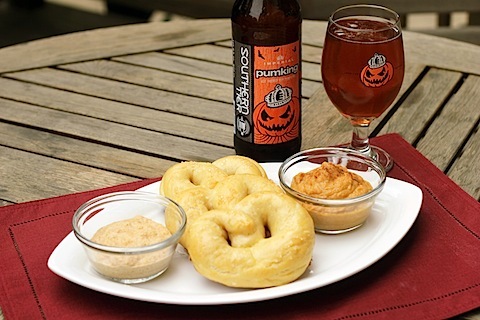 These pumpkin beer pretzels sound wonderful. What a great treat for the forthcoming Autumn months. We just saw some pumpkin ale the other day and wondered what you’d do with it and thankfully I just got my answer! Woot! 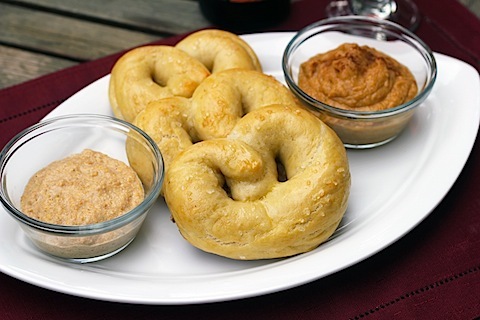 We love pretzels and beer here in Wisconsin 🙂 Sadly, I haven’t tried making pretzels at home but these sound fantastic with the pumpkin beers (which I also have never tasted!). These look amazing! Love the index of pumpkin recipes too…yum! oh, pumpkin season has SO started for me already 🙂 these look great! 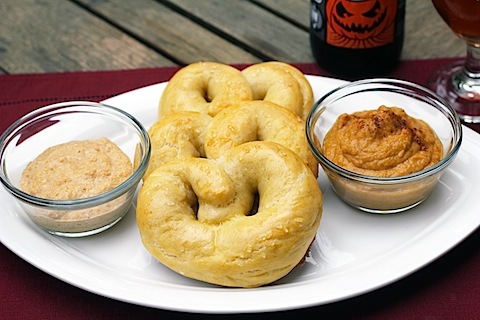 Pumpkin beer pretzels sound excellent especially with the pumpkin dip! This is going on my fall baking list. I shared this link when you first posted this on our Facebook and it got many likes. You guys keep rockin’ it with the craft beer! Would it be ok if we featured this recipe next week? 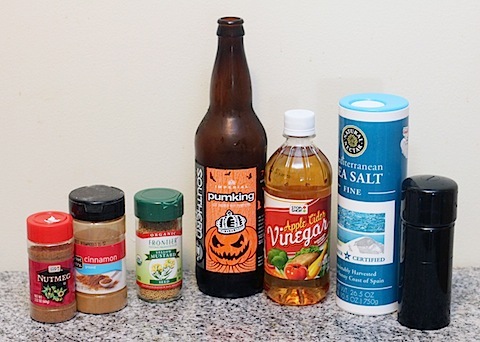 I’m trying to only post recipes that use pumpkin beer in October. 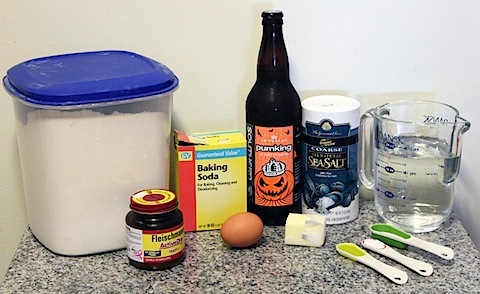 The White Beer Cookies we posted earlier this year were a hit! Thanks again for letting us feature that one! @Meghan- Yes! 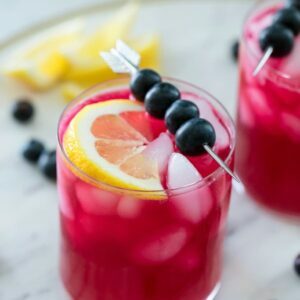 You can definitely feature this recipe 🙂 It’s a fun one!